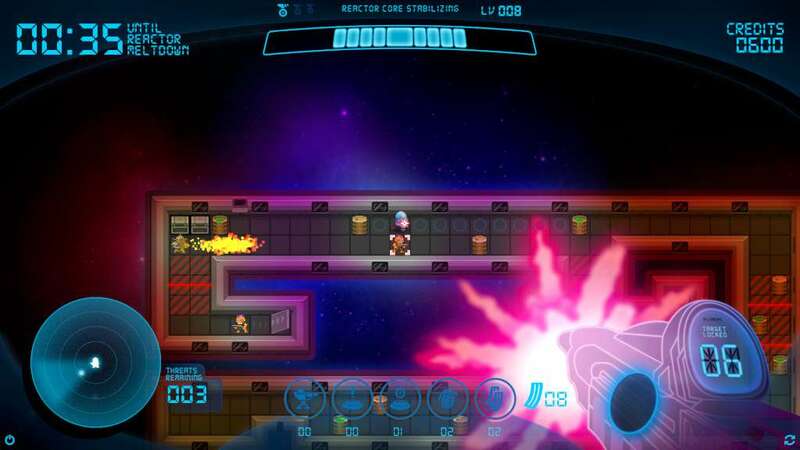 Super Space Meltdown - 2D dungeon-crawler. In space! Learn, Die, Repeat as time rewinds. Or does it? 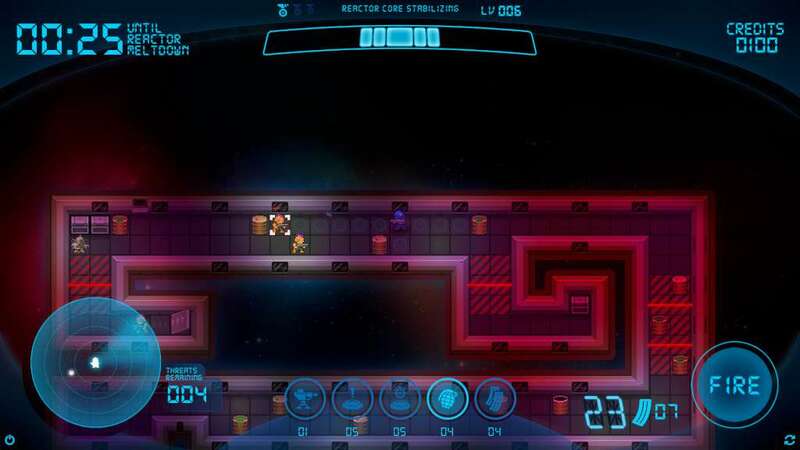 Super Space Meltdown is a 2D top down roguelike sci-fi shooter. It’s basically a sci-fi dungeon crawl. I suppose you could call it a space station crawler. Super Space Meltdown makes you crawl through random rooms filled with alien scum that are begging for a blaster shot right to the face! Humanities largest space station is under attack by mysterious alien invaders. You play as Sgt. Alex Cutter sent into deep space on a lone mission to save the day and annihilate the alien threat. But there's a catch. The presence of these alien invaders seems to have caused the stations reactor to go into meltdown. This means you have 60 seconds to clear each room before the reactor melts down and causes time to loop back on itself, taking you back to the beginning of the game. Luckily you have your trusty AI companion to help you on your way and in dire times manipulate the reactor to your advantage. If you are defeated, your companion will cause time to loop back on itself to enable Cutter to try and save the day one more time. That means that time will be reversed every time you die but you will get to keep every item and bullet you have managed to salvage. Most importantly, you will know how to do better next time. Learn, die and repeat baby! You are equipped with your trusty space rifle, but as time is of the essence that is not always enough. 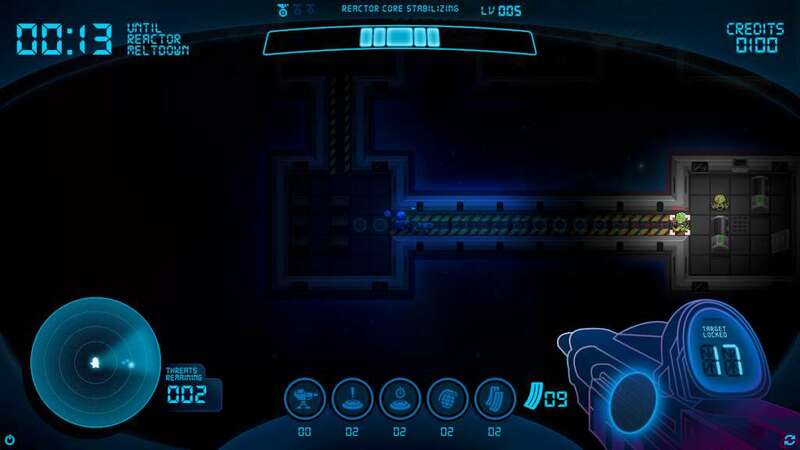 Therefore Cutter has an impressive arsenal for disposing of hostiles and you will find more weapons and a fair share of bullets along your journey from room to room. For example, you can leave turrets to take out the trash for you or you can blow the nasties to smithereens with a space grenade. Yes, a space grenade. It’s like a normal grenade, but better. Because it has space in the name. As each room is cleared Terminal Stations are activated which reveal messages left by previous inhabitants of the station. They unravel a tragic story and help reveal the mysteries behind the invasion and what is causing the meltdowns. Nothing is as it seems. Who is Sgt. Cutter? Why is time reversing? Why is the station infested with hostile aliens? Who is behind the messages in the terminals? What causes the meltdown? That, and more can be learned by exploring the persistent world and delving deeper into the mysteries of Super Space Meltdown. 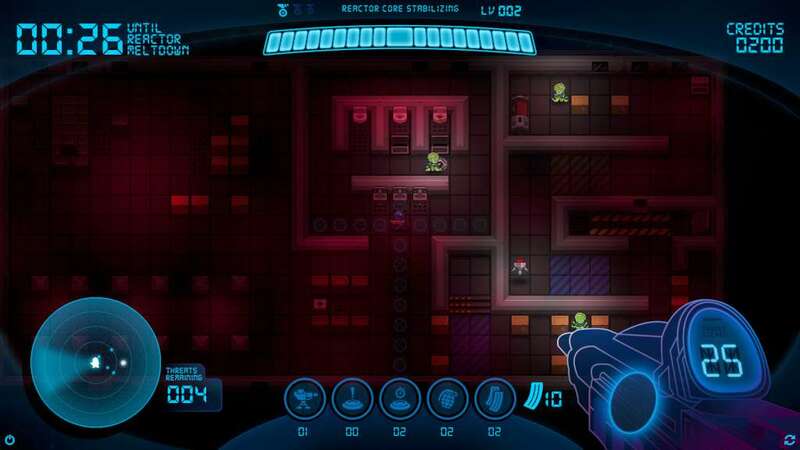 Crawl through random, alien-infested floors. You have 60 seconds to reach the next floor! 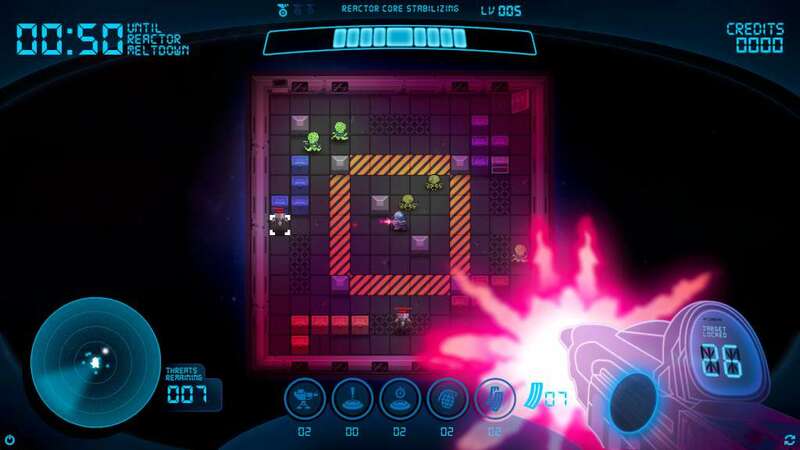 Use strategy and trial and error to overcome the alien threat. Rush through and you’ll regret it. When you die, time rewinds so you can try again. You’ll do better next time, right? Unravel the story, piece by piece. Special weapons, such as mines, grenades and turrets - for when your trusty rifle just isn’t cutting it.